Not going to lie, I’m a little excited about this one. 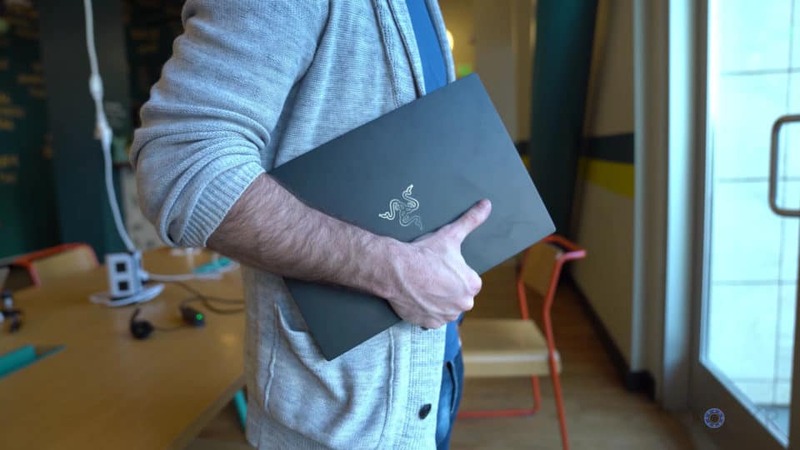 If you’re not familiar with Razer, they started out making gaming mice and peripherals and then ventured to laptops, eGPU housings, and even phones. 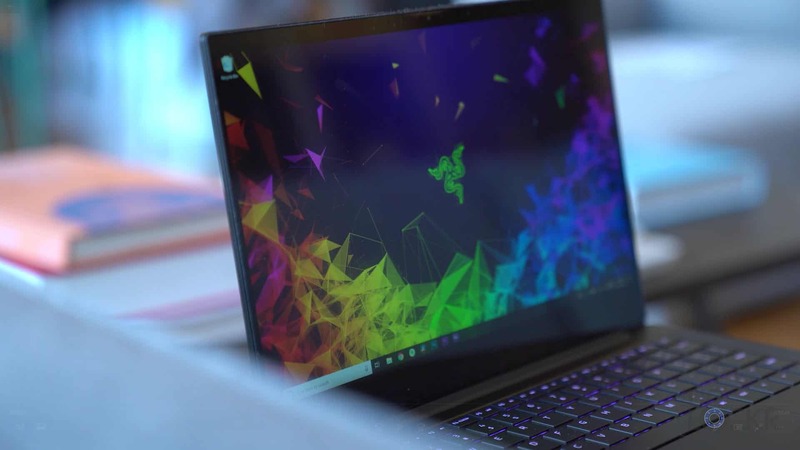 Their best selling product line is probably the Razer Blade line which is there super powerful but still portable line up of gaming laptops (I use the newest Razer Blade 15 for video editing personally). 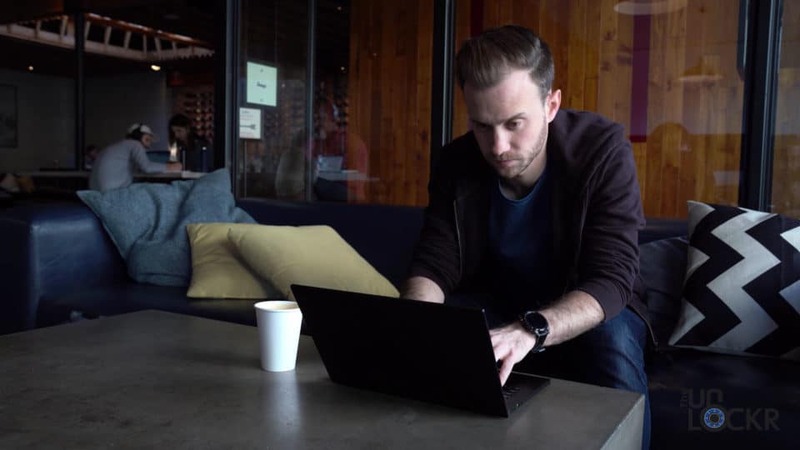 Besides this, they have the Blade Pro, which is sort of their overkill on power, not so portable machine and their Blade Stealth which has been their much less powerful but ultraportable model. 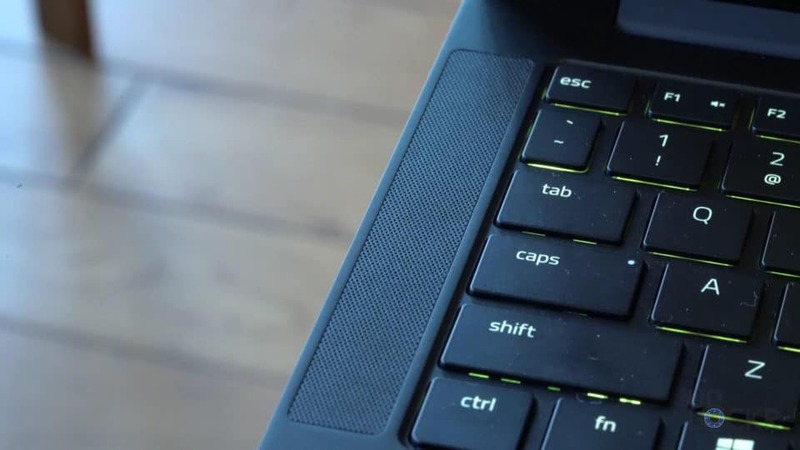 I did a video on the original stealth and loved the form factor, battery life, and styling actually but I couldn’t use it as my daily laptop because it just didn’t have a good enough GPU to handle Premiere and editing my footage. So I ended up longing for a laptop with the power to handle my videos, but the smaller size and better battery life of the Stealth. Well, this new Razer Blade Stealth 2019 might just come close. Now, Razer was kind enough to let me borrow one of their pre-release units so I figured I’d do a complete walkthrough on it. If you aren’t familiar, a complete walkthrough on this channel is where I try and go through every feature on a new device so you guys are better prepared should you be in the market to go buy one. 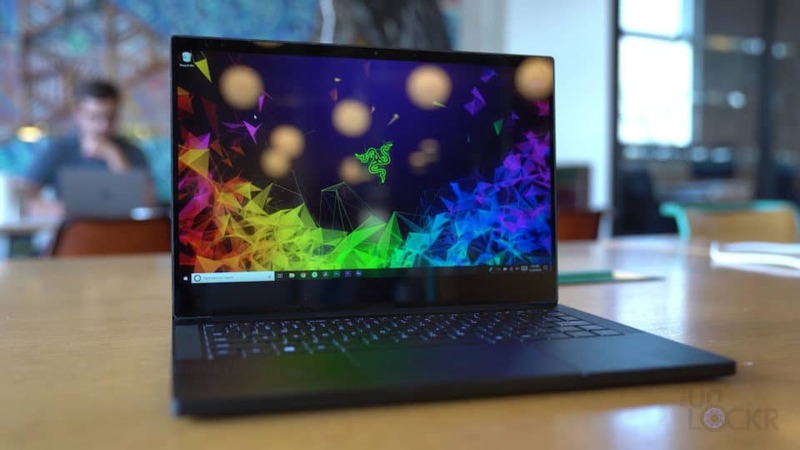 Check out the cheapest price I could find on the Razer Blade Stealth here. With that said, there is a ton to go through, so let’s get started with the styling. 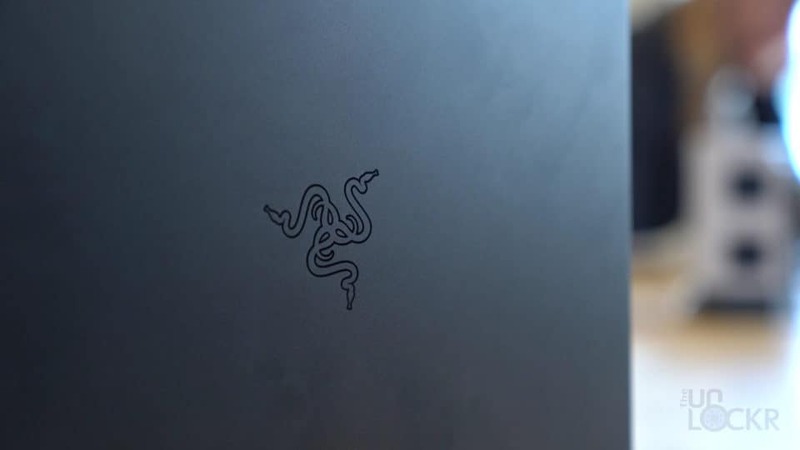 There’s no doubt at this point now, Razer has a pretty specific new design language going on: square. 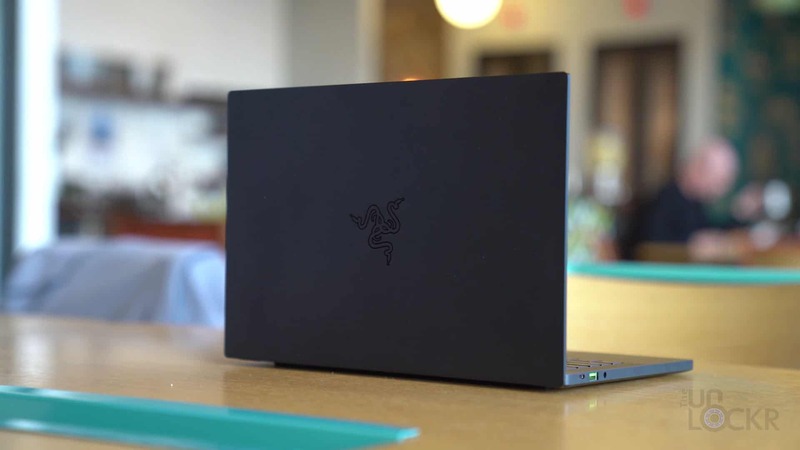 The new Stealth is following suit of the Razer Blade 15 (and even the Razer Phone 1 and 2) with a new squared off shape. 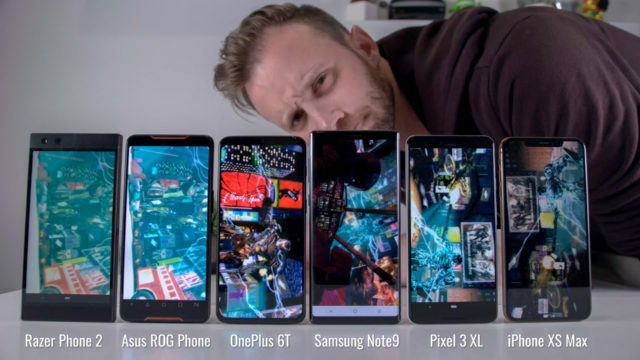 Putting it next to either makes it look like a small version of the 15 or a very large version of the phone. 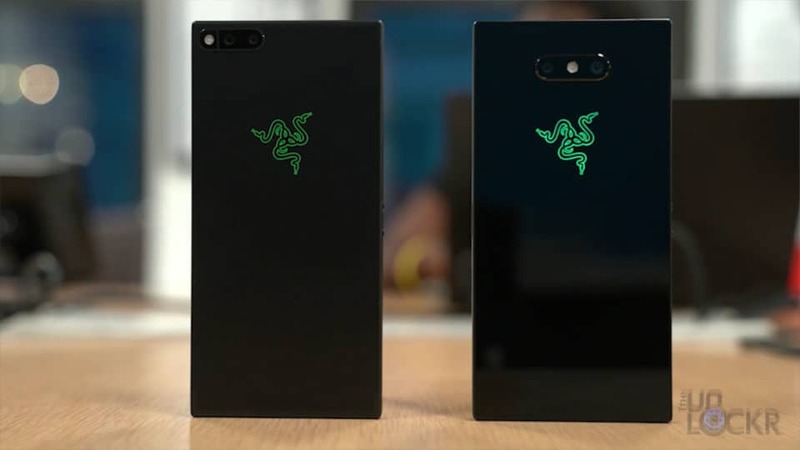 Personally, though, I like it as I feel like helps it stand out and is pretty modern-looking and think for Razer as well it’s important to have a consistency across the lineup. 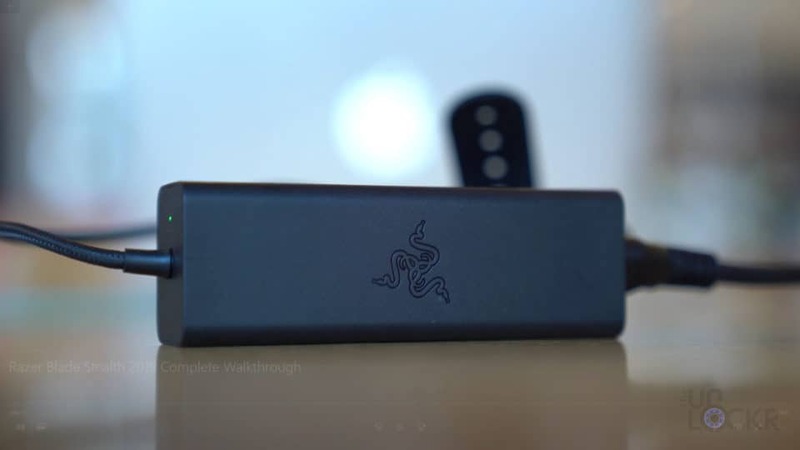 The Stealth is made out of a CNC milled unibody aluminum chassis with an anodized matte black finish and a tone on tone Razer logo (sorry for the fans of the LED light up one from some of last year’s models, but I have a feeling that that lit up logo doesn’t quite scream “stealthy”). 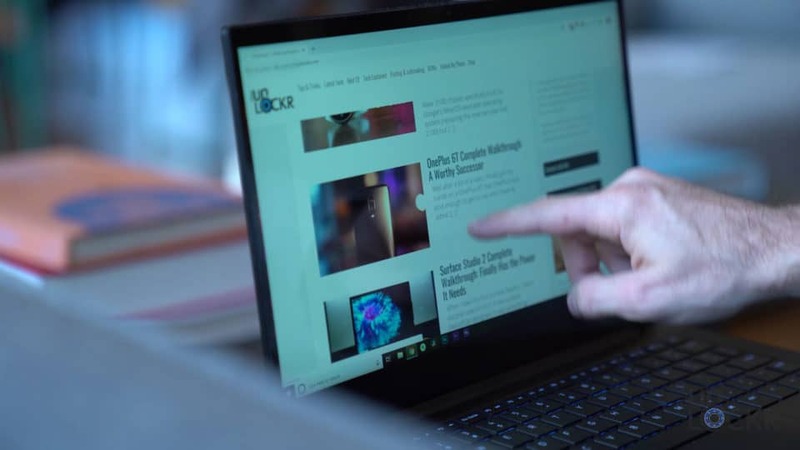 The laptop weighs up to 3.04 lbs with the highest spec’d version and is just 14.8mm thick, and thanks to much smaller 4.9 mm bezels around the screen, the entire body takes up less volume than the previous model without losing the 13.3″ screen. That screen, by the way, now comes in two versions. An FHD matte non-touch display, and a 4K touchscreen model which is what I have here. Both options are 100% sRGB and individually calibrated. 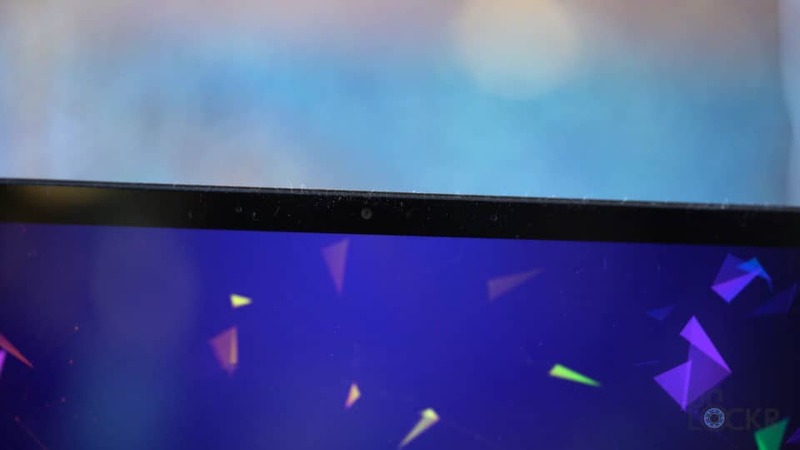 Above that screen, we have a 720P resolution webcam, but new to this year it supports Windows Hello thanks to including the necessary extra hardware like an IR sensor so you can sign in with your face. The keyboard itself has a softer typing experience compared to my Razer Blade 15, I’d say but it’s still clicky and pleasurable (and unlike the Blade 15 we don’t have the odd function key at the bottom right pushing the arrow keys over one and making you accidentally hit the wrong one out of habit). 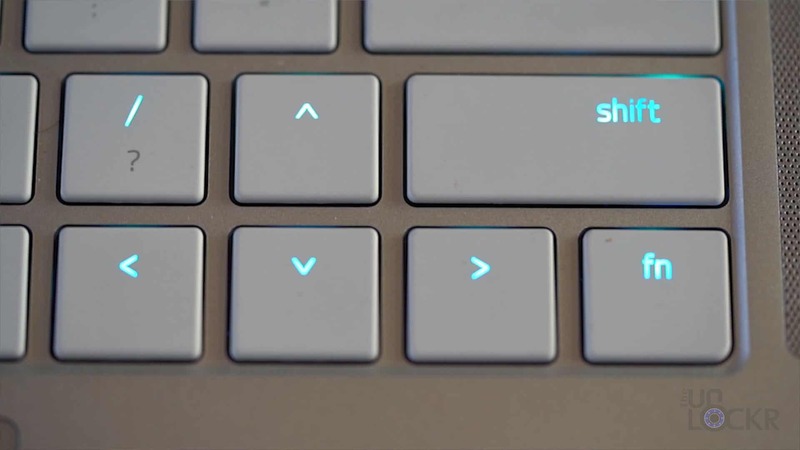 In order to keep the battery consumption and cost down however they did remove the individual key Chroma functions which allowed you to change the colors of every single key if you wanted and instead replaced it with a one zone chroma to light up the entire keyboard at once. So, you know, Chroma isn’t gone, don’t worry. Frankly, for me, if it does translate to better battery life, I never changed individual key colors anyway so no biggie to me at all. 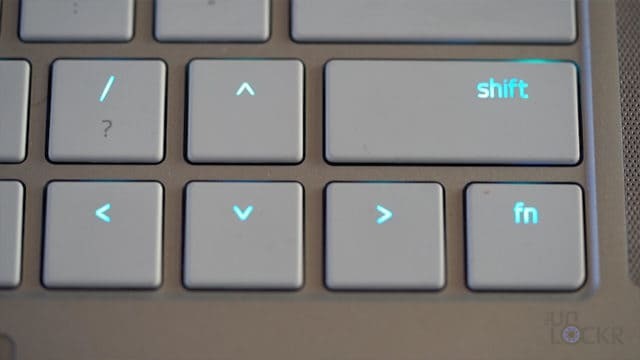 Another extra benefit of this is that the function buttons now light up whereas they didn’t fully on the older model and, like the older model, you can control all of these colors with the included Razer Synapse app that’s pre-installed (but just Spectrum Cycling, Breathing, and Static are available in the Quick Effects since there is only one zone you can change). Beneath the keyboard, we have a much larger glass trackpad that for some reason feels a lot more responsive and just better than any other trackpad I’ve used on a Windows machine in a while. 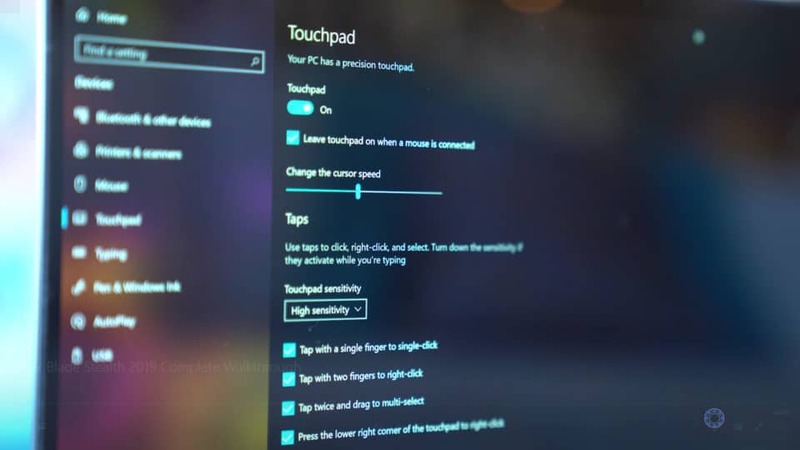 It is a Microsoft Precision touchpad which is always better than any trackpad that isn’t (and for those that aren’t aware that means Windows itself handles the drivers for the trackpad instead of the manufacturers each making their own and means it’s more responsive, can use gestures, etc. 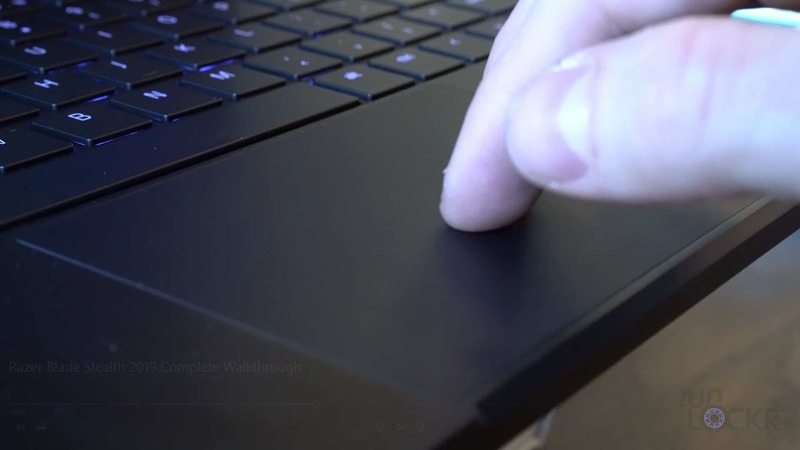 ), but this trackpad feels better than other Precision ones so not sure why but I’m happy about it. 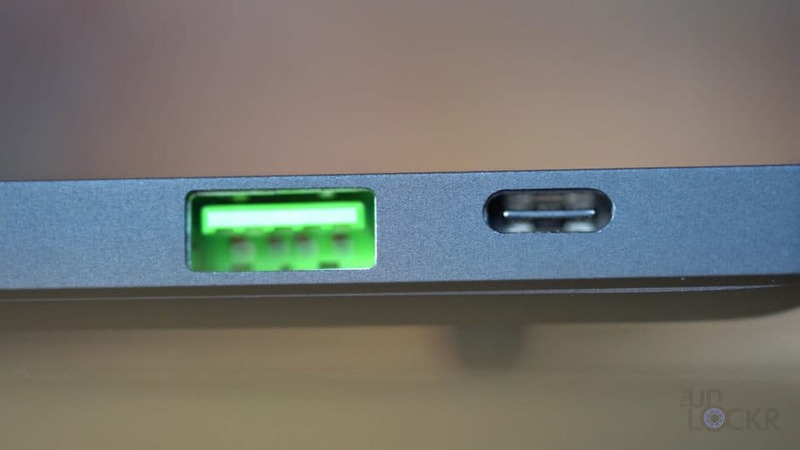 For ports, we have a USB 3.1, Gen 2 Type C port, a USB 3.1 Gen 1 standard (Type A) port, and a 3.5mm headphone/microphone combo jack on the left side. 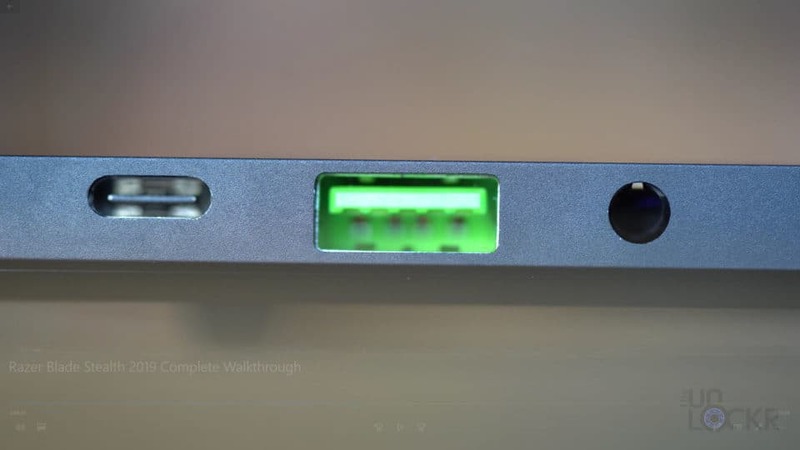 On the right, we have another Type C port but this one is Thunderbolt 3 capable, and another USB 3.1 Gen 1 standard (Type A) port. 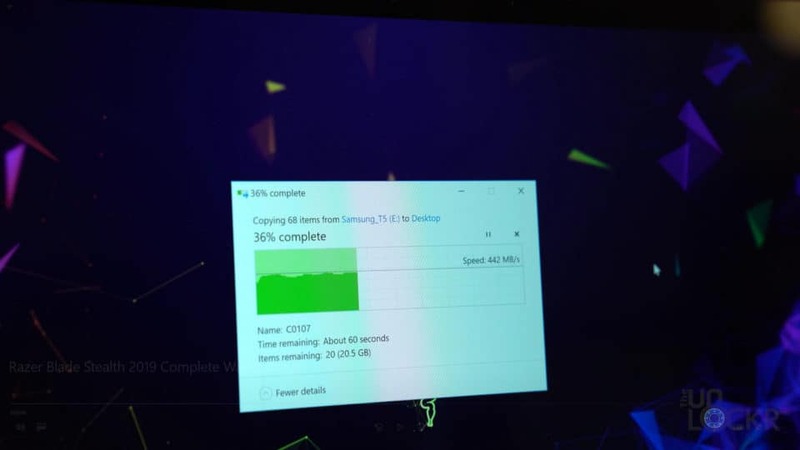 I’m super excited about the Thunderbolt 3 since that means you can not only connect super fast Thunderbolt 3 storage and devices, but you can also connect to an eGPU and utilize a much more powerful desktop graphics card (see my eGPU video here for more info on that). Also, you can now charge the laptop on either of those ports (as well as charge it and have another USB-C device attached which I’m thankful for), and the fact that they are also USB 3.1, Gen 2 means they are a lot faster than normal USB 3.1 ports topping out at 10gbit/s. 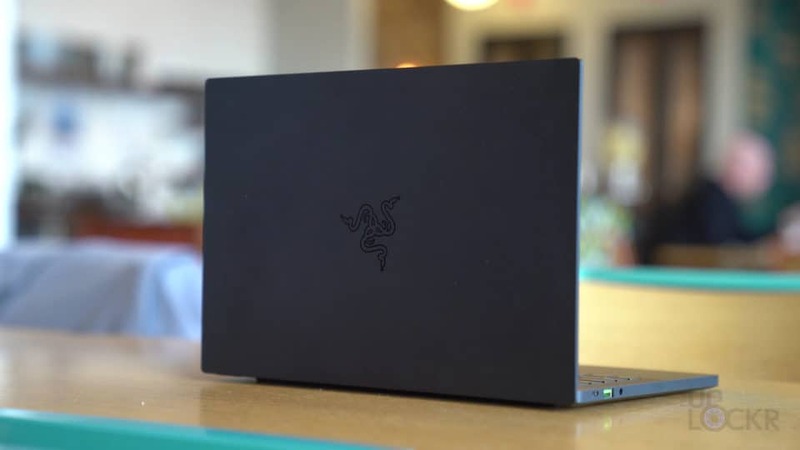 The laptop comes with a much smaller charger than the Razer Blade 15, of course, which makes for the entire package you need to carry around smaller and weigh less but also it’s a 65W charger. Now that’s important to me, because I travel a lot (see Instagram, Twitter, etc. @theunlockr for more on just how much is a lot) and every time I plug in my Blade 15 into a power socket on a plane it refuses to charge. 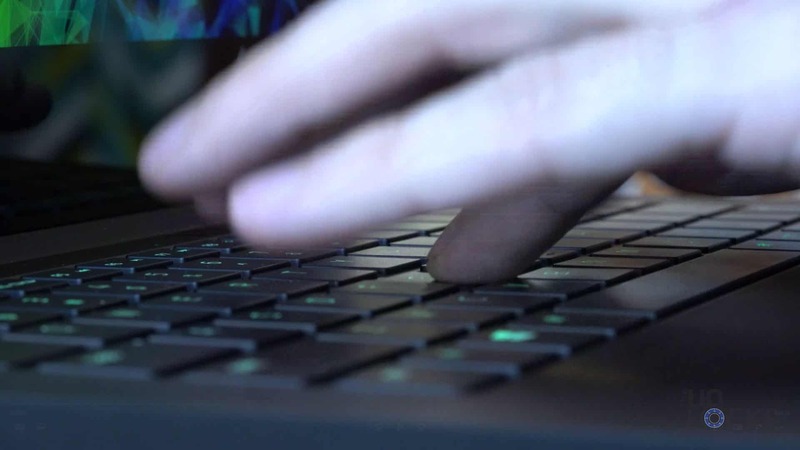 This is because planes generally have a 70W limit and gaming laptops like the Blade 15 draw a lot more than that. This Stealth 2019 however, works just fine. Now besides the pretty big design overhaul, it’s what they put on the inside that actually has me so excited about it. 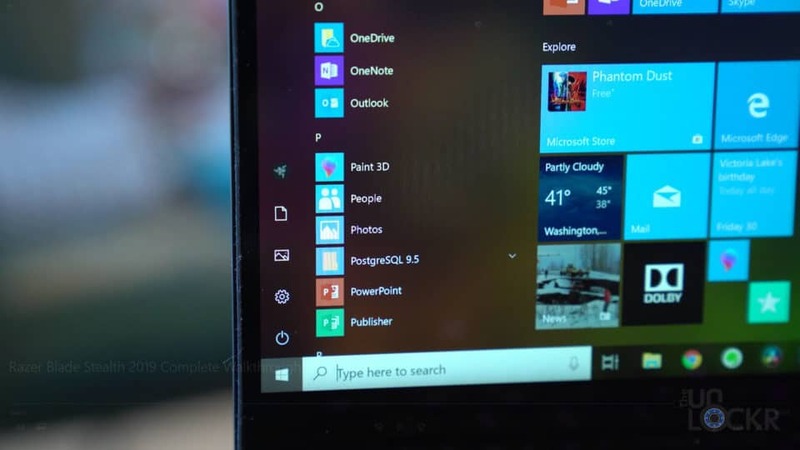 First, we have a quad-core 8th gen Intel i7-8565U processor with a base clock of 1.8Ghz but a Turbo clock of 4.6Ghz. Then we have two choices after that, there is a base model and a graphics model. 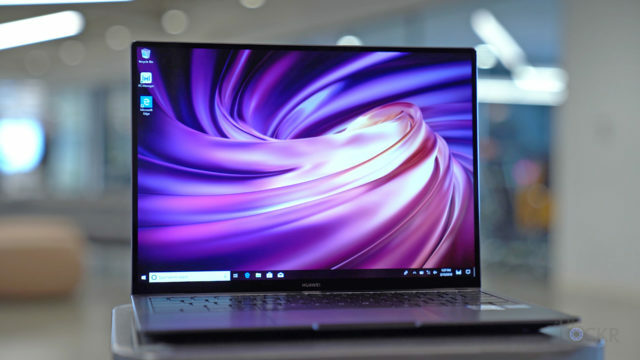 The base model has 8GBs of 2133mhz RAM, a 256GB m.2 SATA SSD, and an Intel UHD Graphics 620 GPU but, the graphics model has 16GBs of 2133mhz RAM, a 512GB PCIe M.2 SSD, and a proper NVIDIA MX150 4GB GPU + the Intel UHD 620. 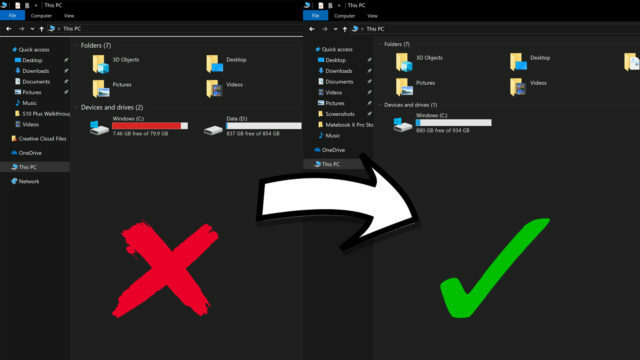 You cannot upgrade the RAM as it’s fixed to the motherboard but, you can unscrew the bottom of the laptop and upgrade the SSD if you want which is cool. Now, one of my favorite ultrabooks out right now the Matebook X Pro also has an MX150 but it’s the 2GB model while this is the 4GB. 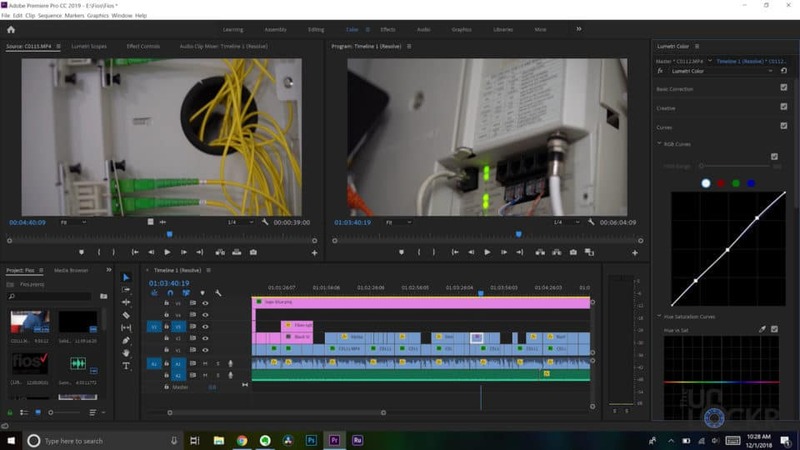 And while that might not sound like a big difference, but for me, it’s the difference of me being able to edit my videos or not. Now, of course, it’s not the same as the NVIDIA GTX 1070 that is in my Razer Blade 15, but if I adjust the settings in Premiere down to 1/4 in playback I can edit my 4K footage just fine, even with graphics, speed ramps, etc. 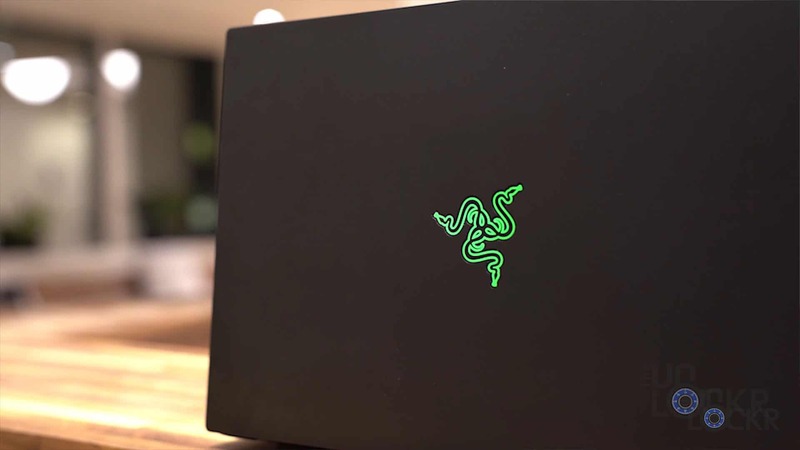 And unlike, my Razer Blade 15 which would only last 3 hours or so while editing something, the Stealth 2019 lasts a lot longer while just taking a bit longer to render out the video when done. Frankly, though, at this point with how much I travel and work remotely, I’d take the smaller device with better battery life that I can still work on without issue over the more powerful one. Now, since this is a pre-production model (and by that I mean they told me the edge on the front is sharper than they like on this model and on the final unit will be slightly less pronounced is just how pre-production it is) I was told I cannot do benchmarks which I totally understand. That means I couldn’t do a full battery test like I usually would along with showing gaming benchmarks or Premiere render times. 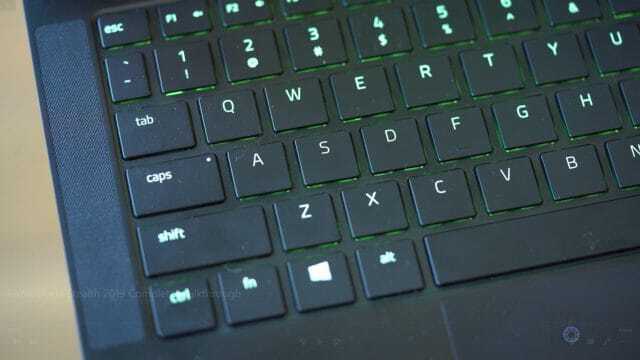 But, I can tell you that even on this pre-release unit, the render times in Premiere were a lot less than I expected when compared to my Blade 15, the battery life lasted all day of writing at a WeWork in LA during my testing, and Razer reports it’ll do 60fps on Overwatch and over 100fps on Counterstrike. I plan to get a proper retail unit at some point so follow me on social @theunlockr for benchmarks posted to that when I get one. Now, for software, there isn’t much because Razer thankfully doesn’t add any bloatware as part of their philosophy. 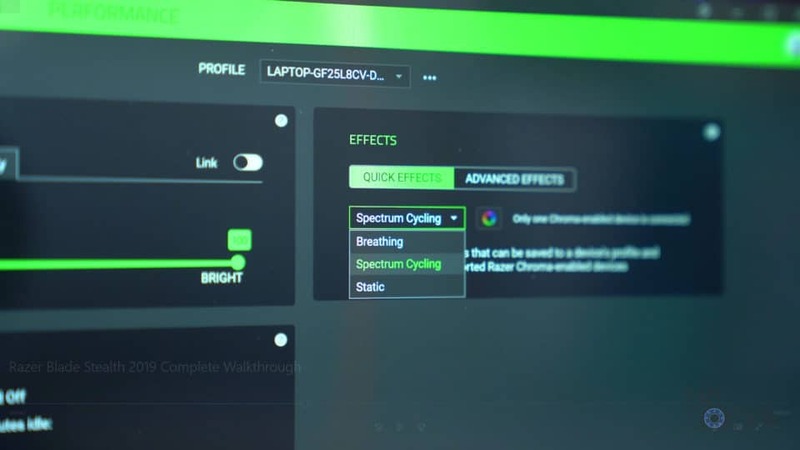 We are running Windows 10 and only have NVIDIA’s software to control the discrete GPU on the Graphics Model, and the aforementioned Razer Synapse 3 program for controlling key shortcuts, macros, lighting effects, and system profiles for gaming vs battery optimized. Now, for pricing and availability. The base model of the Stealth 2019 will start at $1399, the graphics model with the FHD screen will be $1599, and the 4K touch model will be $1899. Not bad at all, right? And there you go, guys. 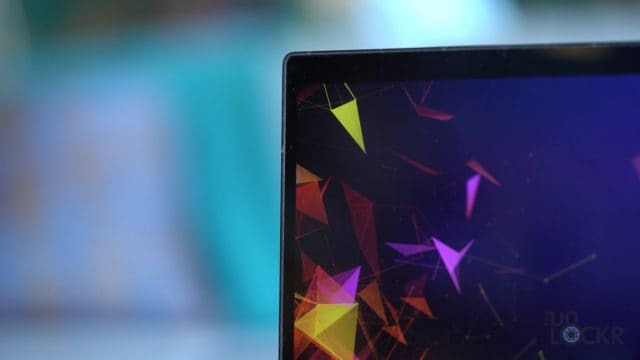 Complete walkthrough on the new Razer Blade Stealth 2019. Head here for the best price I could find and more info. Not gonna lie, I’m probably going to buy one of these for myself and sell my Blade 15. Stay tuned for how that works out for me but, again, with so much travel lately I think it’s a smart move and actually saves me a little money. Let me know in the comments below, what you guys think of the new Stealth, this video, etc. 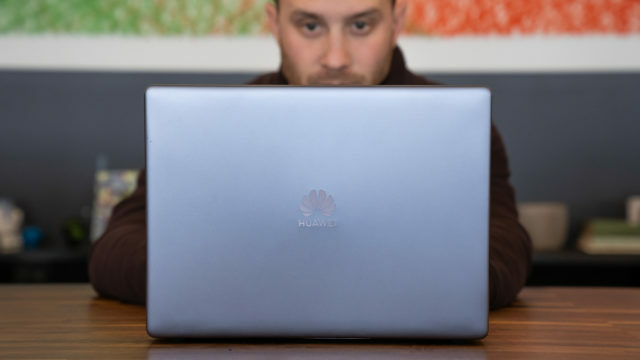 and don’t forget to subscribe to my weekly email newsletter for more tech stuff.